On the northwest corner of Central Avenue & Madison Street in downtown Phoenix, the all-new Residence Inn/Courtyard by Marriott Phoenix Downtown is a 19-story, 320-room hotel. 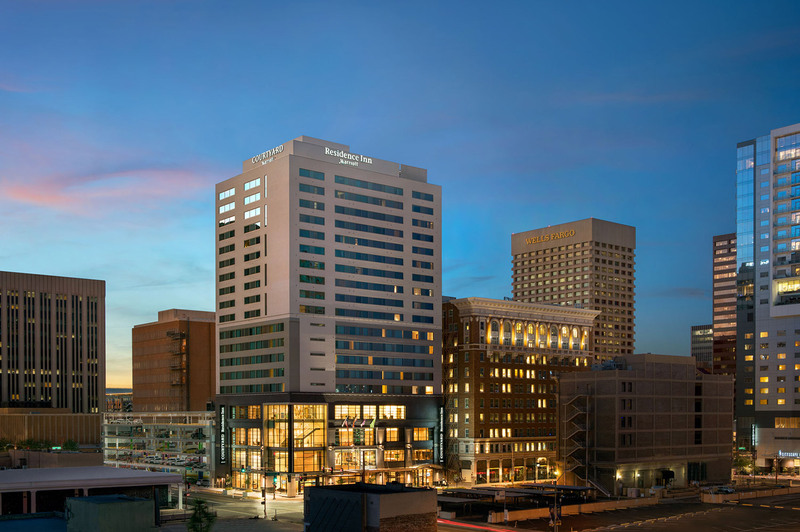 Designed to blend seamlessly with its historic neighbors while still offering state-of-the art guests amenities, the hotel houses two brands: a Courtyard by Marriott and a Residence Inn by Marriott, which shares a lobby and other amenities, such as the fourth-floor pool. The hotel completes the Hansji Corporation’s decade-long preservation and revitalization efforts of this landmark city block housed between Central and First Avenues & Jefferson and Madison Streets.